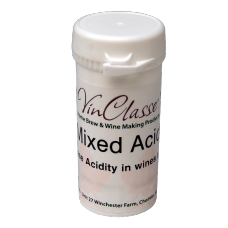 Some fruits are very high in natural acids, eg blackcurrant, grapefruit and redcurrants. This needs .. Checking and adjusting the acidity of your wine or cider can help improve the balance. 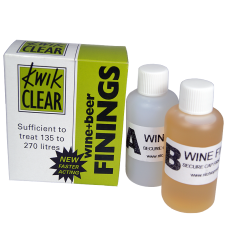 With t..
Wine & Beer Finings. 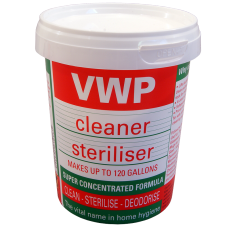 Sufficient to treat up to 270 litres. 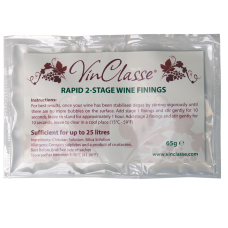 2 stage finings - contains Kieselsol ..
Use when your wine remains cloudy after fermentation and racking. 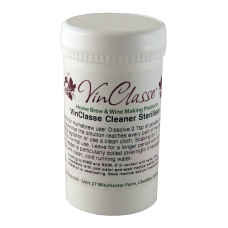 Enough to clear up to 8 gallo..
Use when your wine remains cloudy after fermentation and racking. Enough to clear up to 16 g.. 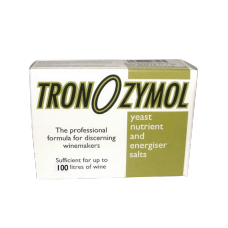 Liquid sanitiser. Use 1.5ml per litre of water. 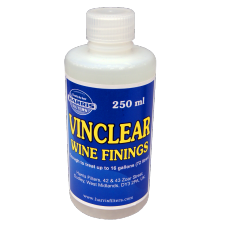 Simply spray on, leave for 30 seconds, then shake of..
Isinglass based finings. Suitable for removing light haze in wine, cider and beer. 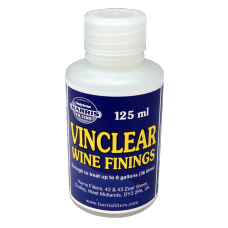 U..
Isinglass based finings. 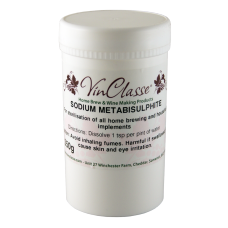 Suitable for removing light haze in wine, cider and beer. 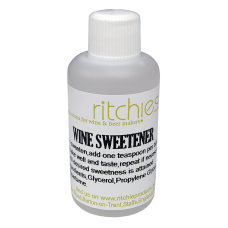 Use 10mls p..
Sweetens dry wines. Easy and effective in use. 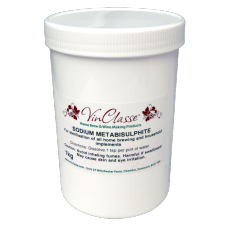 A mixture of Aspartame and Glycerol t.. 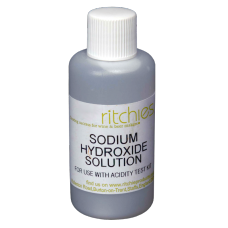 Sodium Hydroxide Solution for the Ritchies titration / acid test kit..
Tronozymol Yeast Nutrient and salts will help your wine ferment speedily and efficiently. It contain..
VinClasse Mixed Acid (Acid Blend) is made from a mix of 50% Citric, 25% Malic and 25% Tartaric. (The.. 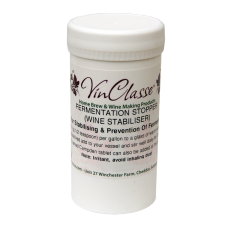 Essential for sterilising and stabilising. 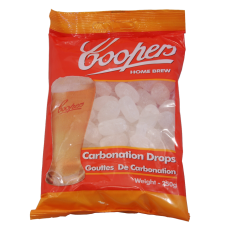 Prevents unwanted odours and flavours. Campden .. 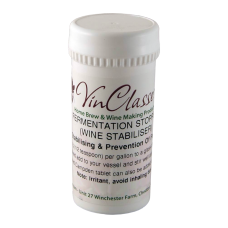 Essential for sterilising and stabilising. 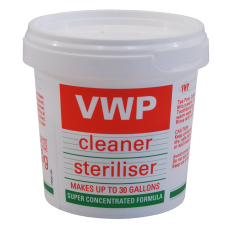 Prevents unwanted odours and flavours. 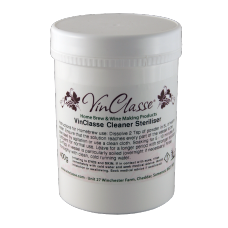 Ca..
Vinclasse steriliser is a concentated chlorine based cleaner, in an easy to use powder form ..
To be sure that your wine cannot carry on fermenting after bottling it needs to be stabilised. This .. 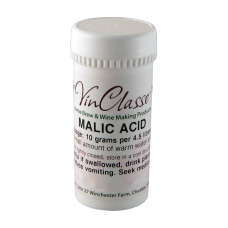 This is the acid found in apples, grapes and some other fruits and vegetables. Its presence .. Sodium Percarbonate Cleaner/Sanitiser. Use 3 heaped teaspoons per gallon - full instructions..
For reducing acid content in wines and cider. 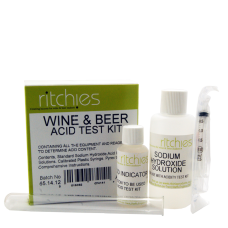 7g per gallon will lower acidity by about 1.5 ..
A dual sachet of liquid wine finings, sufficent for 5 gallons (23 litres). 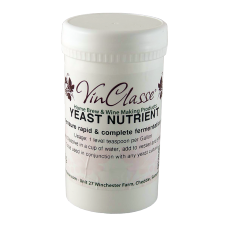 Main ingredients:..
An alternative to Campden tablets for sterilising wine and cider prior to adding yeast. Added to you.. 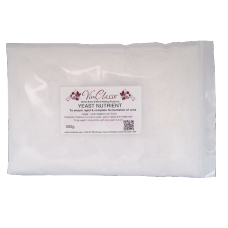 Zero calorie artificial sweetener, made from sugar. 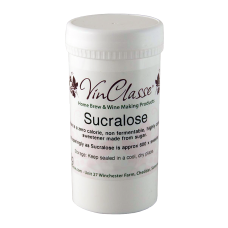 Non fermentable, commonly used in ciders an.. 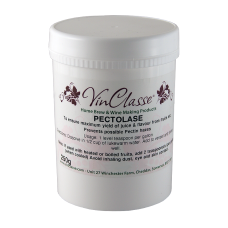 This is naturally found in grapes, raisins, sultanas and currants. 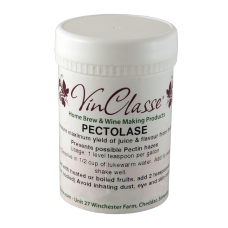 It adds a vinous quality to wi..
Pectolase powder, some times referred to as pectic destroying enzyme is recommended for use in many .. Adding VinClasse yeast nutrient to your brew at the same time as your yeast will result in a rapid a.. 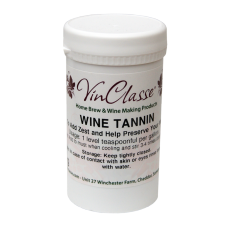 Wines made from red fruits generally have sufficient tannin, paler fruits may not. Adding ta..
Super concentrated formula 1-2 teaspoons makes 5 litres. 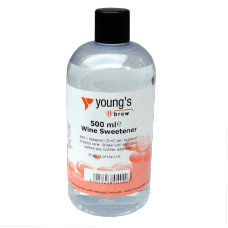 Cleans and sterilises all y..
Sweetens dry wines. 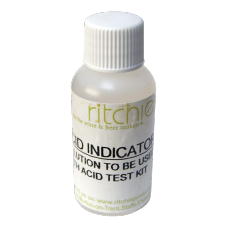 Easy and effective in use. 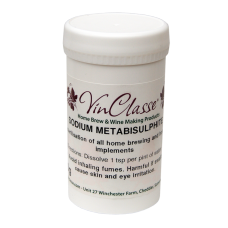 A mixture of Sodium Saccharin and Glycerol ..